Panes of multi-hued hand-blown glass stand on a driftwood shelf. 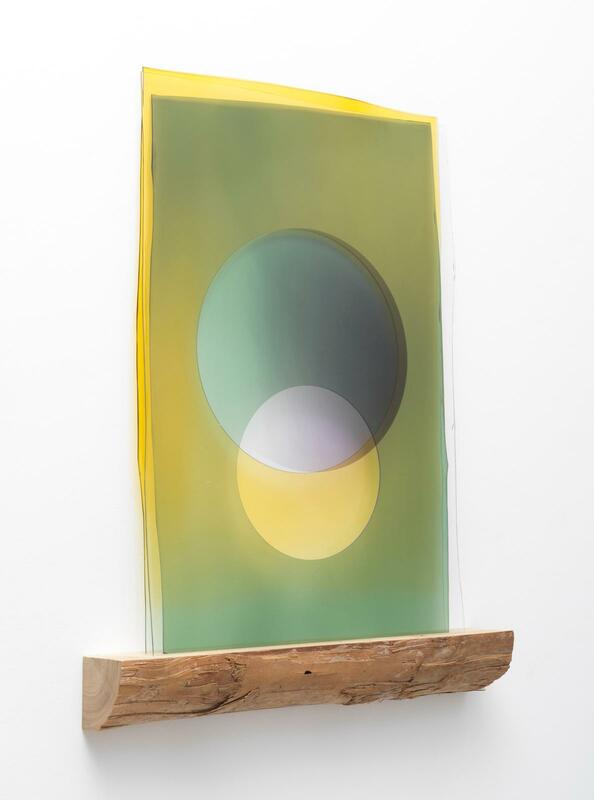 The panes in the foreground have prominent circles cut from them, allowing the colours of the panes behind them to appear. Where the panes overlap, the colours blend to produce additional tones. 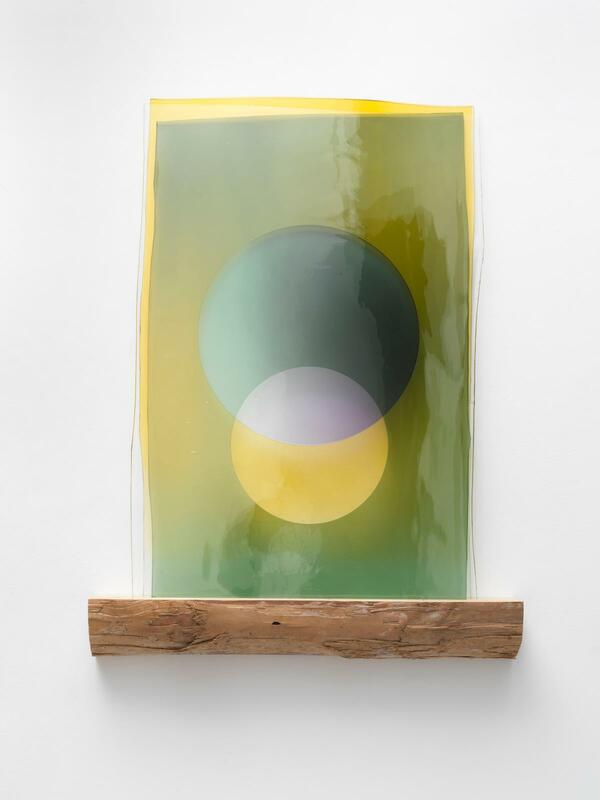 The effects produced by overlapping layers of transparent colour are among Eliasson’s areas of ongoing investigation. The composition rests on a ledge of driftwood harvested from the shore of Iceland.